It was a great place with excellent location.great staff clean rooms and private hot tub on balcony. Big and comfortable rooms for families with kids. Breakfast was great. Great location as well. Walking distance to many restaurants, markets, Caldera views, etc. Very friendly and helpful staff. They will assist you with anything you may need. Hospitable hotel staff and centrally located. Awesome breakfast too. The staff was exceptionally nice and kind! Always ready to help us. The breakfast was very good quality. The staff preparing the breakfast was again very kind. The hotel is at a great location - very close to the heart of Fira! The swimming pool is amazing. They help you with everything from calling taxi to renting a motorbike,quad and checking when your ship will depart. The balcony we had was very nice. Story: I needed internet for my work and when the signal was weak in my room after reporting it to the staff they were very kind and understanding and called the technicians to fix the internet the very next morning. After that the internet was working great! The location was great, very centrally located, breakfast was a very nice feature and the staff were lovely! Staff was great-they arranged tours and car rental for us. Breakfast was very good- there was a nice variety. Location was very good- just a 5 minute walk from central square. I would definitely stay there again. Next to Fira city center, the staff was very friendly and helpful, we liked the breakfast and enjoyed the pool area. The facilities were very clean and pleasant. I loved the convenience of the airport shuttle, the great breakfast, and the location was just a few minutes walking from the hub of downtown! 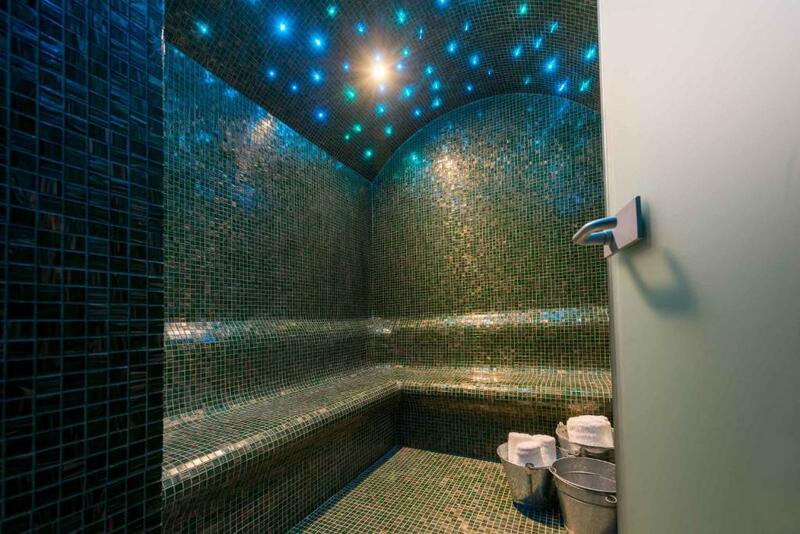 Lock in a great price for Anamnesis City Spa – rated 9 by recent guests! 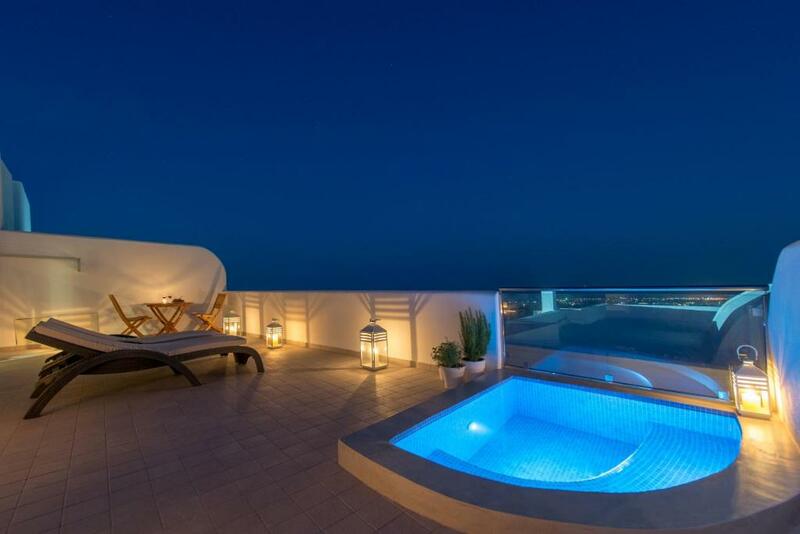 Overlooking the town of Fira, Anamnesis City Spa provides comfortable rooms with air conditioning and offers panoramic views of Santorini’s east coast. Built in harmony with its surroundings, Anamnesis provides good value-for-money rooms with private bathroom facilities. Each room is also equipped with a refrigerator so guests can store snacks and chill drinks. Great views of Fira can be admired from Anamnesis City's private balconies. Anamnesis' convenient location allows guests to enjoy a short walk to Fira’s vibrant center and it is just 1,000 feet from the town’s central bus station. Staff can also arrange for guests to rent a car or bike to further explore beautiful Santorini. When would you like to stay at Anamnesis City Spa? This spacious room opens out to a private balcony with views over the Aegean Sea and the coastline. It comes with air conditioning,TV and free Wi-Fi. Private bathroom is stocked with a hairdryer. This is a two story room with an interconnecting staircase. This suite features a soundproofing, air conditioning and balcony. This is a two-story room with an interconnecting staircase. This deluxe double room features a privately located hot tub and views of the sea. House Rules Anamnesis City Spa takes special requests – add in the next step! Anamnesis City Spa accepts these cards and reserves the right to temporarily hold an amount prior to arrival. Guests are kindly requested to inform the hotel of their estimated time of arrival. This can be noted on the Comments Box during booking or by contacting the hotel/property using the contact details found in the booking confirmation. The staff was very friendly, particularly Maria as she was very helpful. 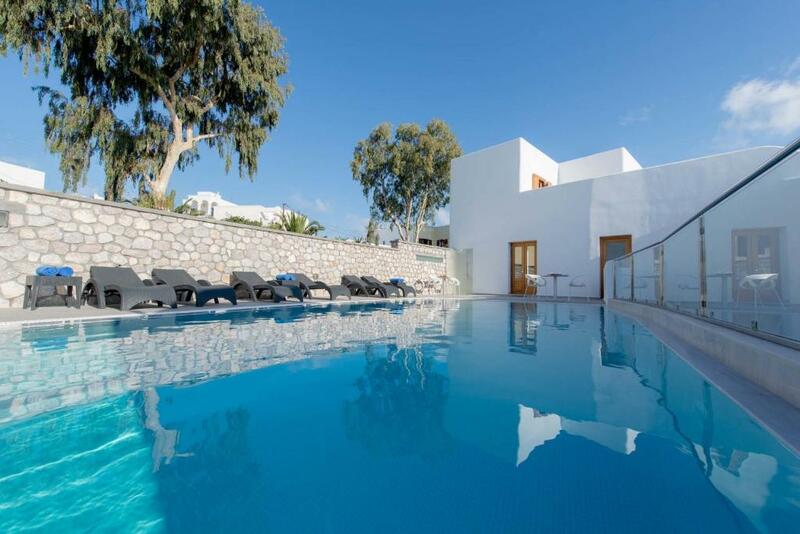 The location is very convenient，we can walk to the central in Fira. The staff was very patient. The room was very clean and cozy. Everything was perfect and staff was extremely helpful, thank you! Great room, spacious balcony with hot tub. Lovely staff and easy to get into town. The concierges at the reception were excellent, right from receiving us, guiding us to checkout the local town and distant places within Santorini, informing us well about the public and hired transports, what to eat and where to shop. The breakfast spread is one of the best i had experienced in any of my trips in Europe. Lots of options for meat lovers. The staff at the dining room was excellent too. I have become very fond of greek hospitality and greek people after visiting this place for sure. A lovely place with very nice people!!! Everything is white and clean, quiet and relaxing. Beds were very hard but didn't keep me up. Staff were amazing!!! They were happy to do anything for us. They even ordered us take out and taxis.